Hitting the two-year milestone since Beyoncé shared her surprise self-titled album, Bey is up to something secretive once again. As reported, the songstress was spotted, alongside her family Jay Z and Blue Ivy, in New Orleans with a film crew. While it is still a mystery as to what she was shooting, yesterday, December 22, the singer has some sort of project in the works. It was also reported that Beyoncé had shut down several streets to accommodate her camera crew’s needs, as well as having the street cameras turned off. 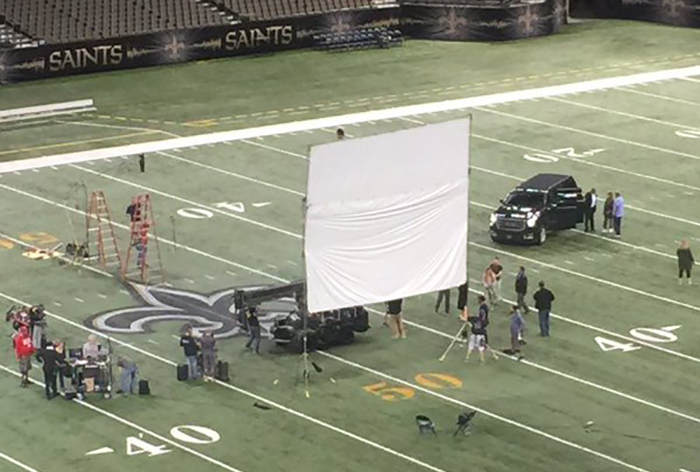 “Beyonce is shooting a video in New Orleans and just had the street cameras turned off. The entire area. What a god,” one fan tweeted. Hopefully whatever Bey is up to drops much like her last album – suddenly and without any more suspense!